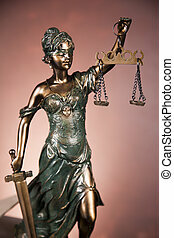 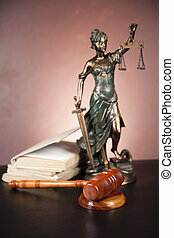 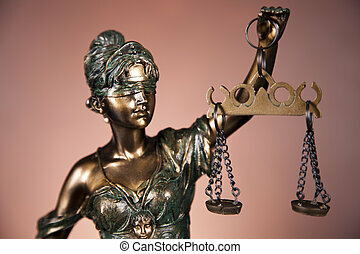 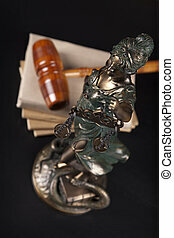 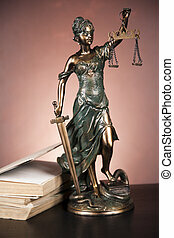 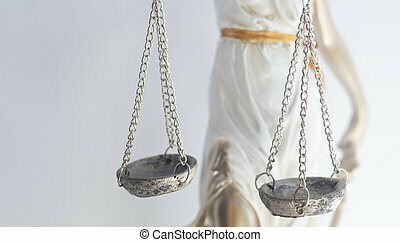 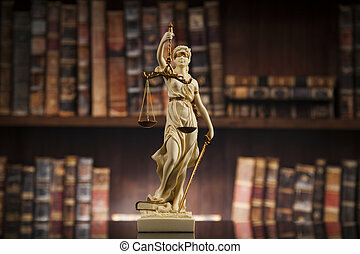 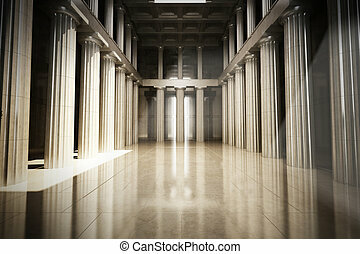 Bronze law firm legal statue of Themis in attorneys company office. 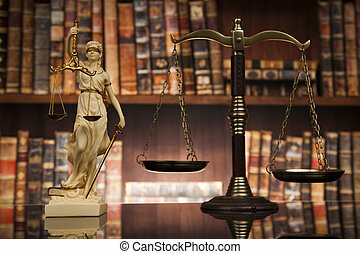 Justice of scale on table. 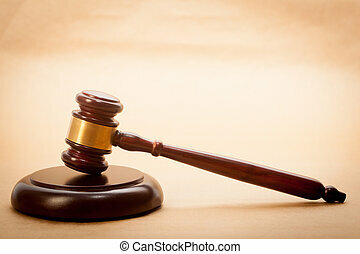 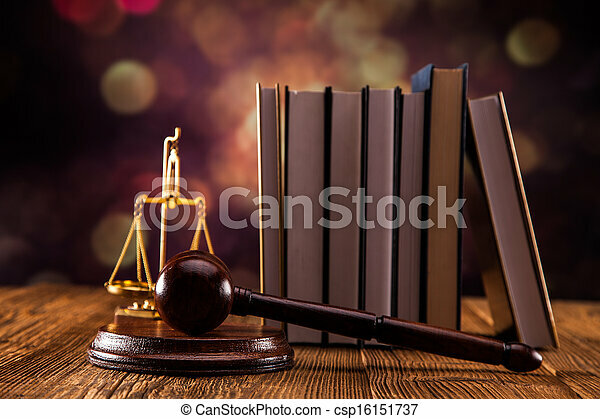 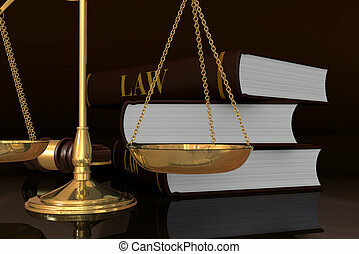 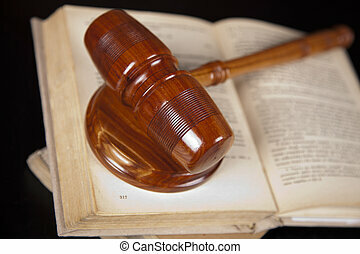 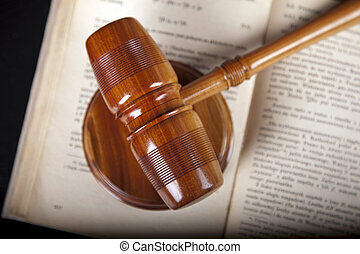 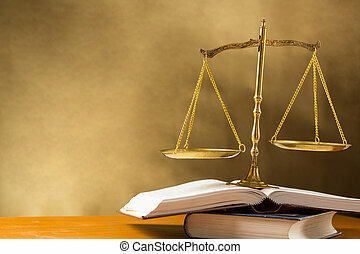 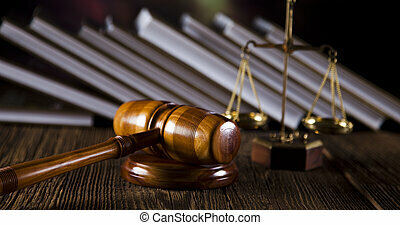 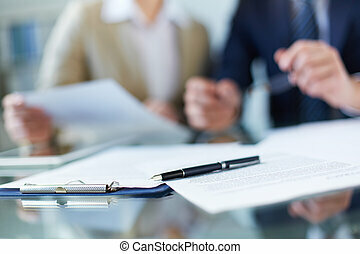 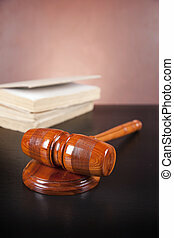 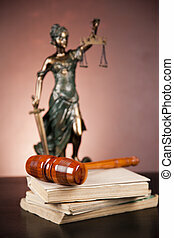 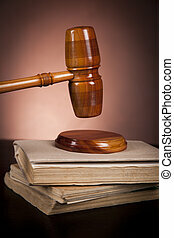 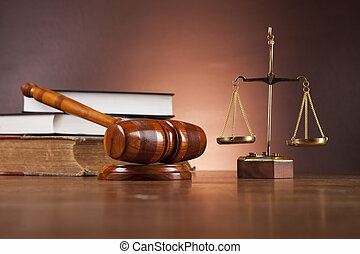 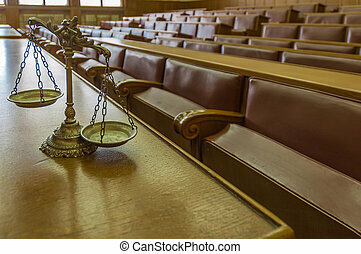 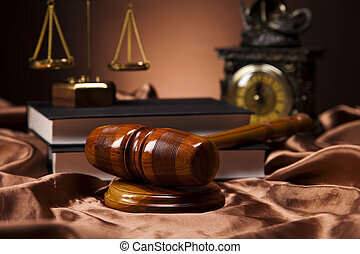 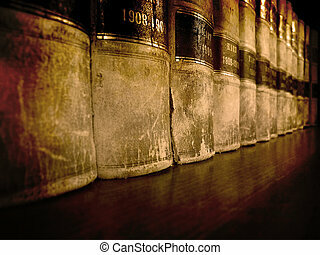 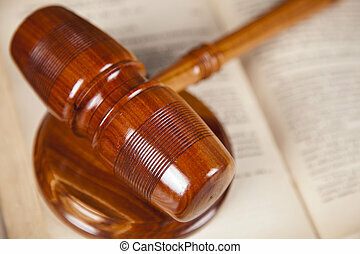 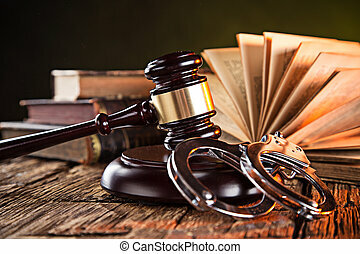 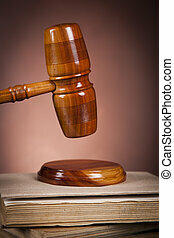 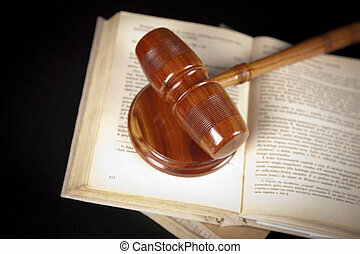 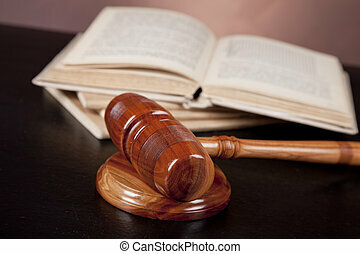 A wooden gavel and soundboard on a light brown background.